"Accomplished and amazing - one of the hottest reads around" - "Daily Mail." Set in Washington D.C., this fascinating thriller of unparalleled suspense dares to explore an unthinkable abuse of power and criminal conspiracy: a vicious murder involving the US President and a cover-up orchestrared by his zealously loyal Chief of Staff and the Secret Service. But, unknown to the President and his lackeys, one unlikely witness saw everything. Trapped behind a two-way mirror in a country house in Maryland, Luther Whitney, a professional burglar, witnesses an event that destroys his faith in justice. By the time he escapes, pursued by two Secret Service agents, a young woman has been sexually assaulted, then shot dead. And a breathtaking cover-up has been set in motion. 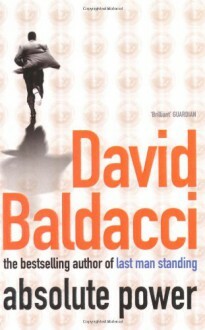 "Baldacci's prose is fluent and amazing ...this book is sure to make a killing"- "The Times." "A high-octane legal thriller. An almost Shakespearian study in the nature of evil - horror in its purest form" - "Spectator".